Co-operative shop, Cowley Road, Oxford. 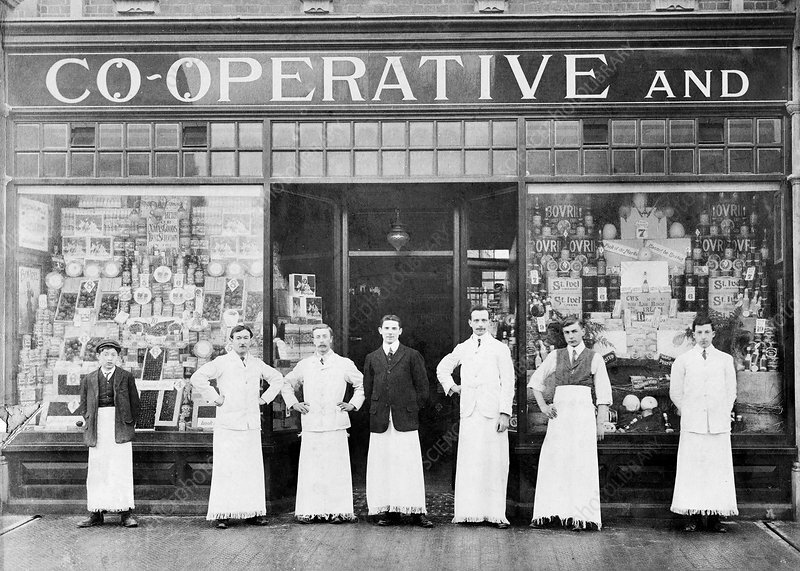 Staff lined up in front of a Co-op grocery shop in the period before Christmas 1918. The staff include three brothers (far left and two at far right). The manager, Ernest Forty, is at centre. Photographed in Cowley Road, Oxford, UK.